Amino Acids – the Unsung Heroes! Home »Philosophy & Approach»ORTHOMOLECULAR MEDICINE»Amino Acids – the Unsung Heroes! Sleep, good mood and performance are directly related. Anyone who starts their day after a restful night is better able to concentrate on work and feels more balanced. Conversely, constant fatigue leads to a drop in performance, which can lead to unhappiness over an extended period of time. The potential outcome is worry and sleeplessness, which simply generates a vicious circle. To balance mind, body and spirit, an adequate supply of the ‘right’ nutrients is needed. New findings in the field of food supplementation stress the importance of amino acids. We believe that they are the ‘unsung’ heroes of nutrition and are overlooked when it comes to many of our modern ailments. Glutamine is the most important supplier of energy to the immune and intestinal cells. If there is a deficiency in this amino acid, these cells become sluggish and they cannot function properly. Several studies show that concentrations of glutamine in the body are diminished during times of physical or psychological stress.2,3 At the same time, the number of cell-damaging free radicals increases dramatically. This creates a chain reaction: with the decreasing glutamine content, the cells do not have the fuel to carry out their functions. The immune system is weakened and the intestinal mucosa gradually loses its protective effect. In extreme cases it can lead to “leaky gut syndrome” – the intestine “leaks” allowing foreign matter through its defensive shield and the mucous membrane into the blood system. It is especially at times of stress, tension and physical strain that it makes sense to use a supplementation of glutamine. Glutamine functions like a spark plug in the cells. The immune and intestinal cells in particular need plenty of this amino acid as they divide and renew themselves very quickly. If enough glutamine is available, the immune and intestinal cells are stabilised, the body’s defence system and the intestinal mucosa are strengthened thereby preventing and counteracting the symptoms of stress. Anxiety, sleeplessness and lack of concentration are often connected to a deficiency in glutamic acid. Patients with exhaustion and cerebral disorders often exhibit a similar deficiency. The amino acids glutamine, ornithine and arginine promote better sleep in that they ‘switch off’ the most important disturbing factor: ammonia. This cellular toxin is created in the breaking down of proteins. It can stop the energy production in the cells and severely restrict cellular respiration. If there is too much ammonia in the body – either because of over-consumption of protein rich meats or because of improper liver function – the ammonia can end up in the brain and undermine many of its key processes. This is how high ammonia levels can lead to sleeplessness, fatigue and chronic fatigue conditions. Carnitine performs many functions in the body. It serves as a mood enhancer, supports many brain functions and makes the individual more resistant to stress. 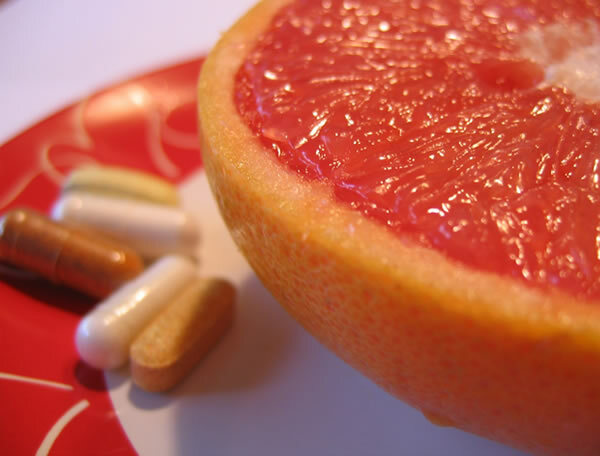 Vitamins, particularly B vitamins, combined with amino acids support the mental faculties. Scientists have found indications that senior citizens with higher homocysteine levels have weaker cognitive abilities than those senior citizens of the same age with lower homocysteine levels. Green leafy vegetables are a good source of the B vitamins. However, it is extremely difficult to obtain an adequate supply from food alone owing to the sensitivity of vitamins to oxygen and heat: incorrect storage, long transportation routes and vitamin-destroying preparation lead to high losses in the foods. For example, the folic acid content of certain foods can be reduced by up to 90% as a result of incorrect preparation. 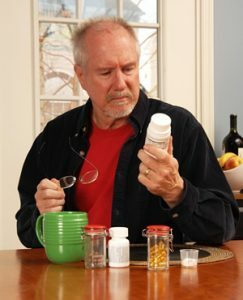 Nutrition experts thus recommend that not only the elderly should supplement their diet with folic acid in combination with vitamin B6 and vitamin B12 using food supplement products. Taken in appropriate amounts, these products provide great benefits at zero risk.